During the early years of the American and Soviet race into space, their competition was measured by headline-making "firsts": the first satellite, first robotic spacecraft to the Moon, first man in space, first woman in space, and first spacewalk. To the dismay of the United States, the Soviet Union achieved each of these feats first. These events triggered a drive to catch up with—and surpass—the Soviets, especially in the high-profile endeavor of human space exploration. Although the United States seemed to lag behind the U.S.S.R. in space, it pursued a methodical step-by-step program, in which each mission built upon and extended the previous ones. The Mercury and Gemini missions carefully prepared the way for the Apollo lunar missions. Models of the early spacecraft programs that first put Americans in space, the one-man Mercury capsule (front) and its successor, the two-man Gemini capsule. After these first few missions that put Americans in space, America's astronauts became the most visible symbols of space exploration. The public, newspapers, and television celebrated these young space pilots as national heroes, and their flights were widely heralded around the world. T. Keith Glennan approved Project Mercury in October 1958. The project was designed to put an astronaut into Earth orbit at the earliest date and test his ability to function in extreme acceleration ("g-forces") and weightlessness. For many in the public, Congress, and NASA, these limited goals represented a first step in human exploration. Planning was already underway to evaluate more ambitious objectives, such as a space station or Moon landing. The one-man Mercury missions developed hardware for safe spaceflight and return to Earth, and began to show how human beings would fare in space. From 1961 to 1963, the United States flew many test flights and six manned Mercury missions. Six Mercury spacecraft were flown with astronauts aboard. The first two flights were suborbital and were boosted by Redstone launch vehicles. The last four were orbital flights and were boosted by Atlas rockets. The longest flight was 34 hours and 20 minutes. NASA introduced the Project Mercury astronauts to the world on April 9, 1959, only six months after the agency was established. 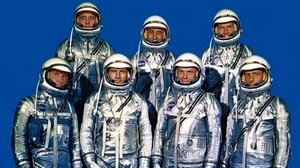 Known as the Mercury Seven or Original Seven, they are (front row, left to right) Walter M. "Wally" Schirra Jr., Donald K. "Deke" Slayton, John H. Glenn Jr., M. Scott Carpenter, (back row) Alan B. Shepard Jr., Virgil I. "Gus" Grissom and L. Gordon Cooper, Jr.
Astronaut Alan B. Shepard made the first U.S. piloted spaceflight in the Mercury Freedom 7 spacecraft on May 5, 1961. During this suborbital mission lasting 15 minutes and 22 seconds, Shepard reached an altitude of 186 kilometers (116 miles). The astronaut and his Mercury spacecraft were recovered 483 kilometers (302 miles) downrange from Cape Canaveral in the Atlantic Ocean by the USS Champlain. Shepard was not the first human in space. Soviet cosmonaut Yuri A. Gagarin had orbited the Earth 23 days before Shepard's flight, on April 12, 1961. 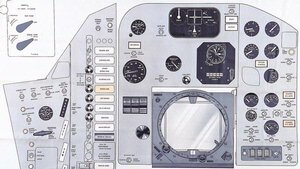 Alan Shepard used this diagram to familiarize himself with the controls. 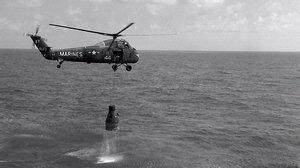 The capsule landed in the ocean after the flight, and was recovered by a U.S. Marine helicopter. Interior of the small, one-man Freedom 7 capsule. 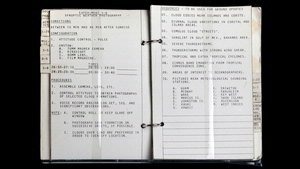 Flight Operations Manual, containing checklists for both normal and emergency flight operations. 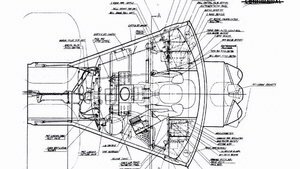 The Mercury spacecraft consists of a conical pressure section topped by a cylindrical recovery system section. The capsule's frame is made of titanium, covered with steel and beryllium shingles. The base of the spacecraft is a beryllium heat sink, a technique for preventing the heat generated during reentry from harming an astronaut. Later flights used ablative heat shields, which protected the spacecraft by vaporizing and burning away during re-entry. 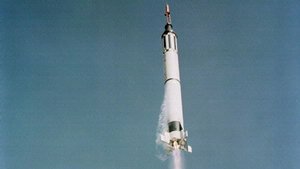 The Mercury spacecraft was equipped with three 454 kilogram (1000 pound) thrust solid-propellant retro-rockets mounted in a package on the heat shield. After the three rockets were fired to slow the spacecraft and allow it to drop to the Earth, the retro-rocket package was jettisoned. Used for the suborbital space flights of astronauts Alan B. Shepard, Jr. (Freedom 7) and Virgil I. Grissom (Liberty Bell 7) during the Mercury Program. 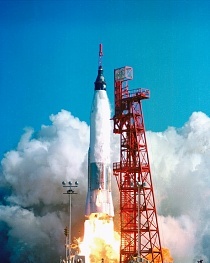 The Mercury-Redstone launch vehicle was developed from the U.S. Army's Redstone missile. The Mercury-Redstone (MR-3) rocket on the pad before launch of the first American manned space flight. Alan Shepard, aboard the Mercury Freedom 7 spacecraft, launched into space on May 5, 1961. Astronaut John H. Glenn Jr. became the first American to orbit the Earth in the Friendship 7 Mercury spacecraft. On February 20, 1962, Glenn circled the Earth three times, in a flight lasting 4 hours and 55 minutes. Friendship 7 landed in the Atlantic Ocean. Glenn's flight followed two successful Soviet orbital flights and signaled that the United States could compete successfully in space. The high-profile drama of the space race and Glenn's professionalism made him a national hero. 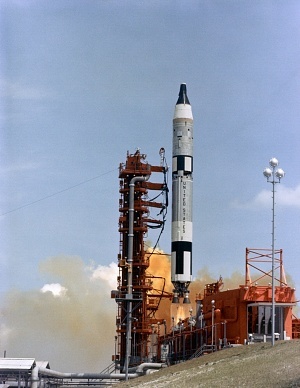 The Mercury-Atlas launch vehicle was developed from the U.S. Air Force's Atlas ballistic missile. 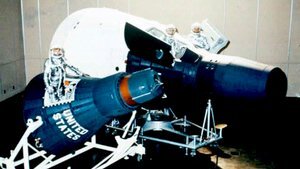 It was used in the Mercury Program Earth orbital flights of astronauts John H. Glenn, Jr. (Frienship 7), Scott M. Carpenter (Aurora 7), Walter M. Schirra (Sigma 7), and L. Gordon Cooper, Jr. (Faith 7). 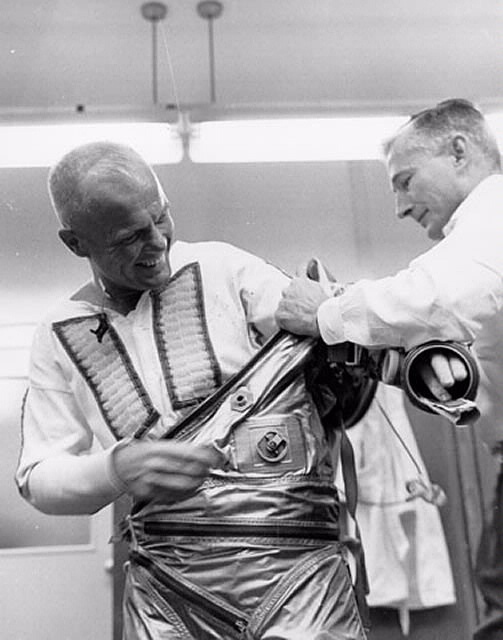 Astronaut John Glenn during pre-launch preparations. Mercury "Friendship 7" on display in the Boeing Milestones of Flight Hall at the Museum in Washington, DC. Interior of Mercury "Friendship 7" on display at the National Air and Space Museum. 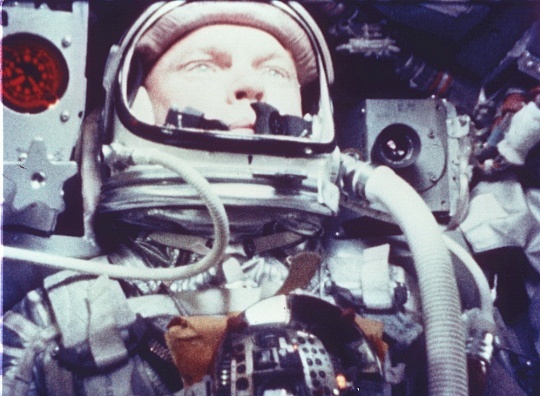 Astronaut John H. Glenn Jr. is pictured aboard the MA-6/Friendship 7 capsule during the U.S. initial orbital flight. 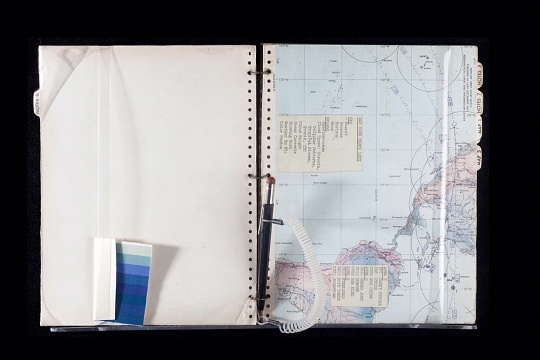 This notebook containing world maps and other data was carried by astronaut John Glenn Jr. during the flight of Friendship 7, the first U.S. orbital spaceflight carrying a human on February 20, 1962. 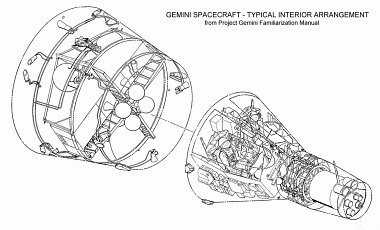 After Mercury, NASA introduced Gemini, an enlarged, redesigned spacecraft for two astronauts. Ten manned Gemini missions were flown from 1964 through 1966 to improve techniques of spacecraft control, rendezvous and docking, and extravehicular activity (spacewalking). One Gemini mission spent a record-breaking two weeks in space, time enough for a future crew to go to the Moon, explore, and return. 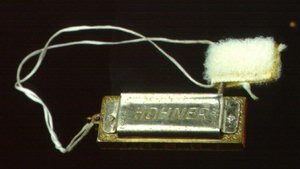 The Gemini had two major units. The reentry module held the crew cabin and heat shield. Behind it was the adapter, which consisted of two sections. The equipment section carried fuel, oxygen, and power supplies. The retrograde section carried retrorockets that slowed the spacecraft to make it fall out of orbit. 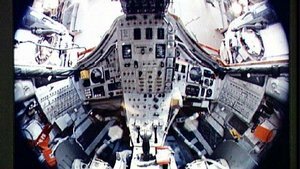 Using small rockets on the adapter, the astronauts could not only change their orientation in space, but also their orbital path. Gemini was the first manned spacecraft that could alter its orbit during flight. The adapter sections were discarded before reentry. The nose (rendezvous and recovery section) came off when the main parachute was deployed. The cabin section splashed down horizontally, with the two hatches on top. 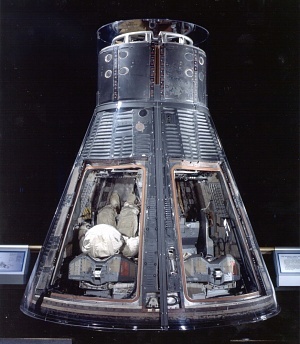 The two-man Gemini capsule, which was enlarged and redesigned from the one-man Mercury capsule. 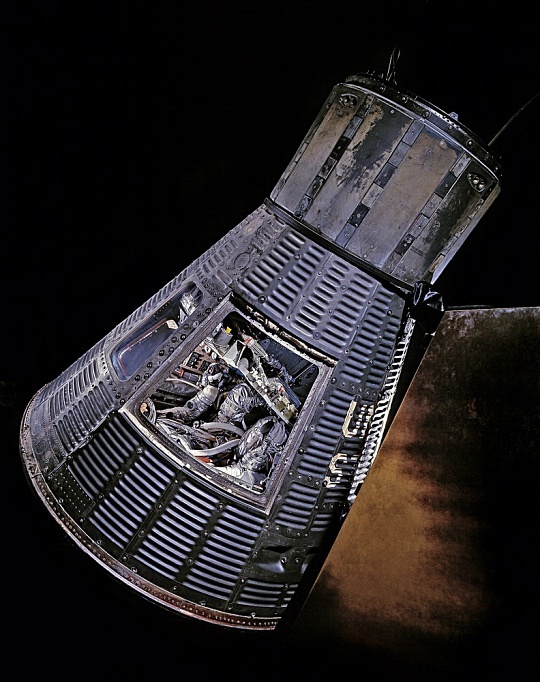 A heat shield protected the Gemini spacecraft against the enormous heat generated by reentry into the atmosphere at more than 27,500 kilometers (17,000 miles) per hour. 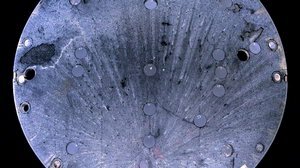 Like those of other early American and Soviet manned spacecraft, Gemini's heat shield derived from ballistic-missile warhead technology. The dish-shaped shield created a shock wave in the atmosphere that held off most of the heat. The rest was dissipated by ablation—charring and evaporation—of the heat shield's surface. 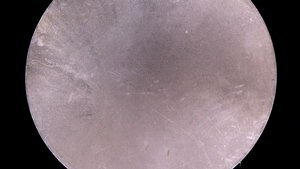 Ablative shields were not reusable. Used in the Gemini Program to boost the two-man Gemini spacecraft into Earth orbit. Ten manned missions were flown. The Gemini-Titan II was developed from the U.S. Air Force Titan II Intercontinental ballistic missile. American astronaut Edward H. White II was the pilot for the Gemini-Titan 4 space flight. 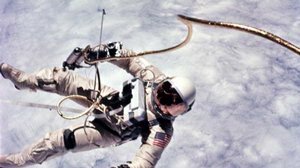 He became the first American to perform an Extra Vehicular Activity (EVA, or "spacewalk") from the Gemini IV spacecraft on June 3, 1965. He floated in zero gravity during the third revolution of the Gemini 4 spacecraft. Ed White performing the first U.S. spacewalk in June 1965. Launched into space aboard Gemini 7 on December 4, 1965, astronauts Frank Borman and James A. Lovell Jr. accomplished two of the central objectives of the Gemini program: rendezvous and long-duration space flight. Their primary mission was to show that humans could live in weightlessness for 14 days, a space endurance record that would stand until 1970. 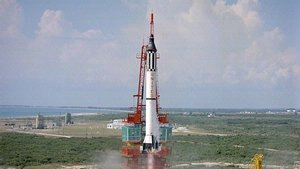 Their spacecraft also served as the target vehicle for Gemini 6, piloted by Walter M. Schirra Jr. and Thomas P. Stafford, who carried out the world's first space rendezvous. These two achievements were critical steps on the road to the Moon. 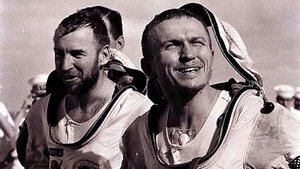 For Frank Borman and Jim Lovell, the flight was an endurance test. 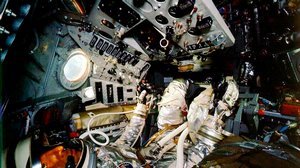 The cabin was very cramped—the size of the front half of a Volkswagen Beetle—and the two astronauts were the subject of numerous medical experiments. 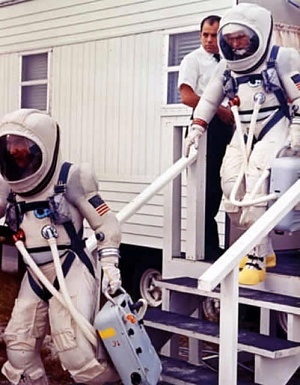 Astronauts Lovell (front) and Borman leave the suiting trailer. To make their mission more bearable, they wore special soft spacesuits that were easier to take off inside the cabin than earlier suits. 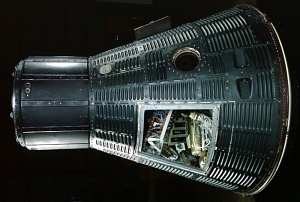 A fish-eye view of the Gemini spacecraft, showing the cramped interior of the capsule where the two astronauts lived together for two weeks. Lovell (left) and Borman show exhaustion and joy at the end of their two-week ordeal. 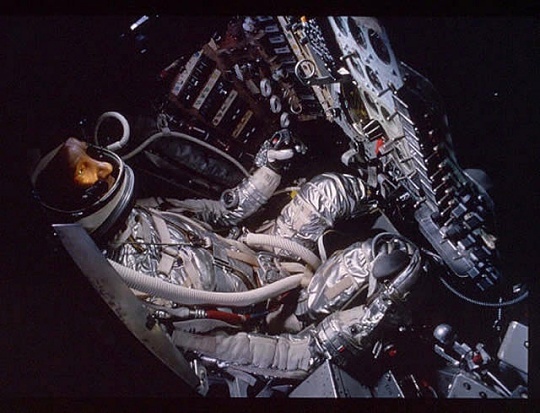 Gemini 7's primary mission was to demonstrate that astronauts could live in weightlessness without significant ill effects for 14 days, the longest duration anticipated for an Apollo lunar landing mission. Gemini 7 Astronauts Borman and Lovell later formed two-thirds of the Apollo 8 crew, the first to circle the Moon. Lovell also commanded Gemini 12 and the ill-fated Apollo 13 lunar landing mission. Gemini 6 was actually launched after Gemini 7. It was supposed to take off on October 25, but the flight was cancelled after the unmanned rendezvous and docking target vehicle blew up. 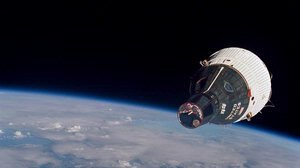 The mission was quickly changed to a rendezvous with Gemini 7. 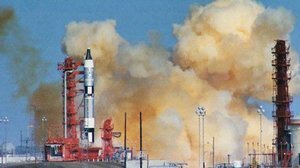 Three days before Gemini 6's successful launch on December 15, 1965, a heart-stopping shutdown of the Titan II launch vehicle's engines occurred during the first lift-off attempt. Schirra and Stafford did not eject only because of their coolness under extreme pressure. On December 15, 1965, Gemini 6, piloted by Wally Schirra and Tom Stafford, pulled within 0.3 meters (1 foot) of Gemini 7, piloted by Frank Borman and Jim Lovell. It was the first time in history that two vehicles had maneuvered to meet in space. This photograph of the Gemini 7 spacecraft was taken from the hatch window of the Gemini 6 spacecraft during rendezvous and station-keeping maneuvers on December 15, 1965. The spacecraft were approximately nine feet apart, at an altitude of 160 miles. 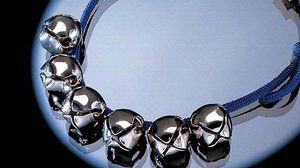 Walter Schirra and Thomas Stafford played "Jingle Bells" on these musical instruments on the Gemini 6 mission during a broadcast to Earth near Christmas time in 1965. 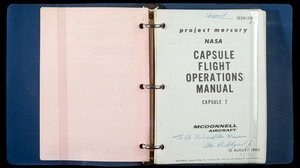 Michael Collins carried these checklists during the Gemini 10 mission from July 18-21, 1966. 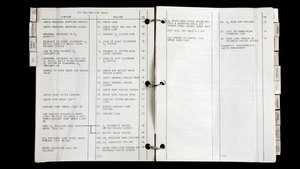 The Systems Notebook had information about the Gemini spacecraft and mission protocol. 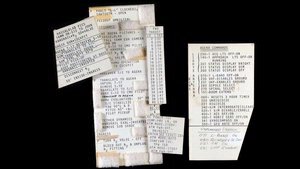 The data cards were used as a checklist of procedures during the extravehicular activity (EVA) in Earth orbit. Procedures for experiments, as well as the results, were kept in the Experiment Log Book. A gift to the National Air and Space Museum is a gift to the nation, the world, and the future. Support the Campaign.